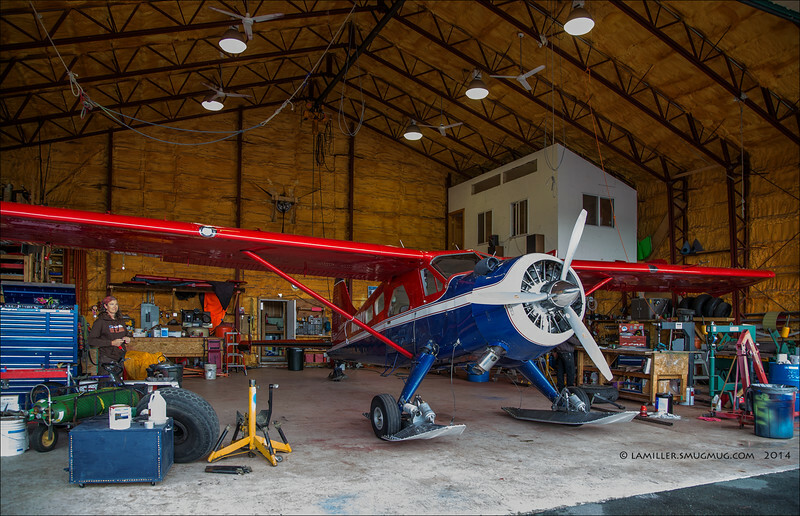 Talkeetna Air Taxi hanger with De Havilland DHC-2 Beaver fitted with skis for glacier landings. This image was taken a few days before our flight over Ruth Glacier. As it turned out, it was the very plane we flew in.